Jad Abumrad. Photo by: Lizzy Johnston. LEXINGTON, Ky. (Oct. 19, 2018) — Radio host Jad Abumrad will deliver the University of Kentucky Libraries 2018 Edward F. Prichard Lecture sponsored by the Wendell H. Ford Public Policy Center. Abumrad is best known for NPR's Peabody Award-winning program devoted to investigating the strange world we inhabit, “Radiolab,” and for its spinoff series that tells the stories behind some of the Supreme Court's biggest rulings, "More Perfect." The 2018 Prichard Lecture will be presented 5:30 p.m. Friday, Nov. 16, in the Kincaid Auditorium in the Gatton College Building. 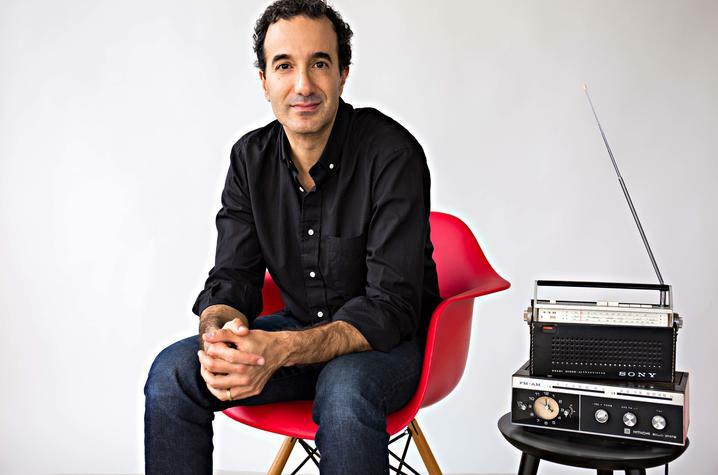 Jad Abumrad is the host and creator of “Radiolab,” a public radio program broadcast on 524 stations across the nation and downloaded more than nine million times. A native of Tennessee, he studied creative writing and music composition at Oberlin College in Ohio. He has written music for films, as well as reported and produced documentaries for both local and national public radio programs. "Radiolab" can be heard locally noon Saturdays, on WUKY. The Prichard Lecture is made possible, in part, by an endowment created by the family of Edward F. Prichard Jr. The Ford Public Policy Research Center supports research and public and educational programming dealing with issues relating to public policy, politics and Congress. The center provides UK faculty, involved in teaching and research in these areas, the opportunity to work closely with the Ford Center on specific or general topics. Exhibits are made available on the UK campus as well as at other institutions and agencies throughout Kentucky. In addition, the Ford Center works closely with the UK Libraries’ Special Collections Research Center to support digitizing primary source materials pertaining to public policy, politics and Congress and placing them on the internet. The center also supports interns in processing related collections.